Gaijin Games are masters of taking classic genres and infusing music-based gameplay. The Runner games are a fresh take on platforming, with incredibly fast gameplay high difficulty, whilst Beat is a modern version of the Atari classic, Breakout. There are many others and they're all equally successful in taking a classic formula and injecting not only new life, but wonderful chiptune music that is affected by what you do. So now Fate, originally released for the Nintendo Wii, is available for PC. Does it share the same level of quality that the series has maintained for so long? Read on to find out! 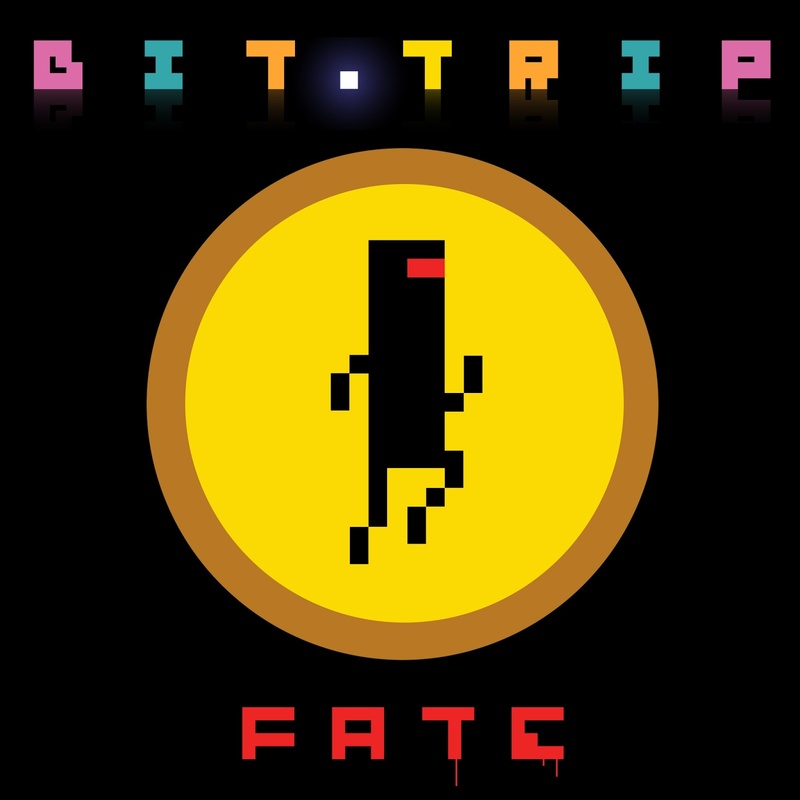 Bit.Trip Fate is a classic 2D space shooter, with one major difference. 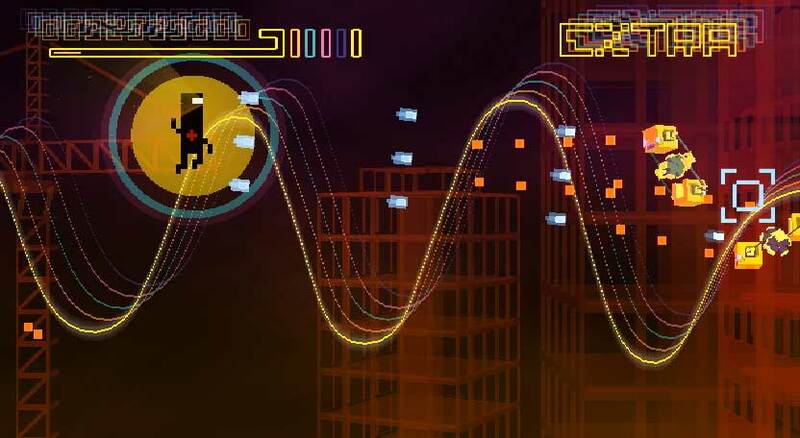 Instead of allowing you to freely traverse the screen, you are instead trapped on a sine wave. This wave curves up and down for the entire level, and out returning hero Commander Video can simply move along it backwards and forwards. It may sound confusing but it's really easy to get used to and in some ways it's much easier to dodgy incoming bullets. 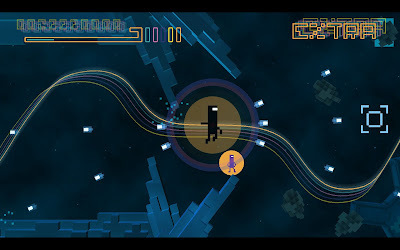 The right stick controls your bullets, and can be sent in any direction from Commander Video. Killing enemies rewards you with small power ups, which build up over time and eventually upgrade the Commander. This means heavily increased firepower and score multiplier. The controls are so incredibly simple, it's exactly the opposite from the Runner games. They require you to memorise a huge list of commands, in order to beat some of the harder levels. Yet Fate is just two sticks. It goes to show how Gaijin are more than capable of creating a range of incredibly different games. Killing enemies doesn't just give you score and power ups, but a classic Bit.Trip sound. 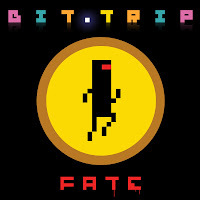 Like all Bit.Trip games, music and gameplay go hand in hand, but it's a bit watered down in Fate, and killing enemies doesn't really create a complex soundtrack like it does in some of the other games. It makes sense, as you're killing enemies and it could happen at any time. Fans of the series will definitely appreciate it. Graphically, it keeps the retro aesthetics that the majority of Bit.Trip games, with huge pixelated enemies and worlds, and the classic Commander Video design. There are literally no complaints in the visual and sound departments. Fate is a solid game, there's no doubt about it. It isn't as interesting or fun as the Runner games, but Gaijin Games have developed a unique title, in their perfectly bizarre Bit.Trip universe, and I can't wait to see what the future holds for Commander Video and his awesome friends!